Place the bread in a 350° oven to dry for 15 minutes. Cook bacon until crispy and set aside. 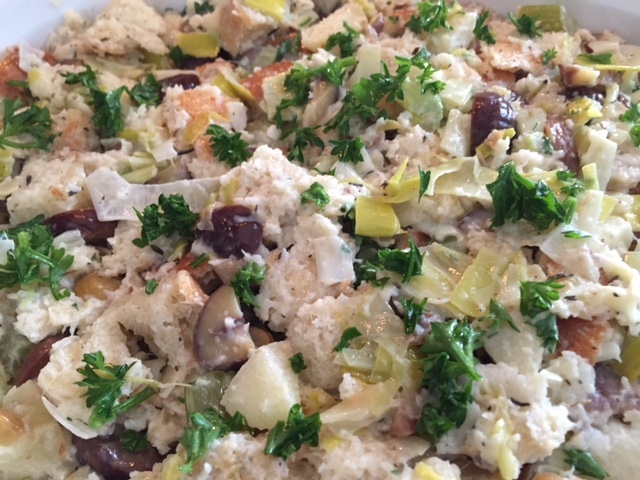 Add two tablespoons of butter to remaining fat to cook leeks with the celery until soft, about 10 minutes. Add apples, chestnuts, parsley and thyme to cook for an extra 5 minutes. Toss in bread, chopped bacon and cream. Add salt and pepper and mix well to make sure bread soaks in the cream. Place on a shallow baking dish and bake for 30 minutes at 350°. With tea being the second most popular drink after water, it’s no surprise a tea bar should pop up in Coral Gables. But this is no ordinary one. 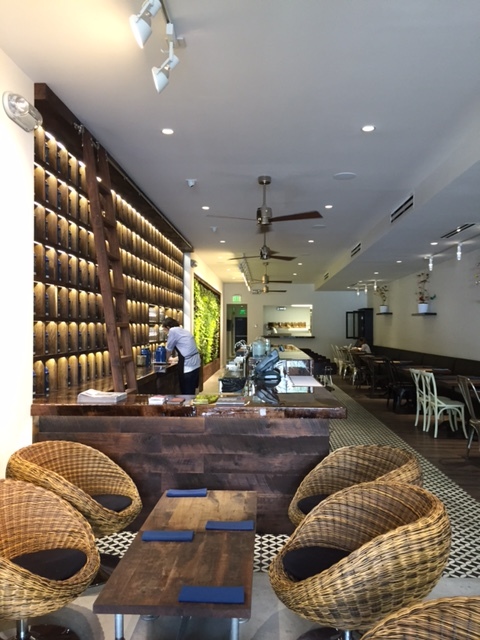 Ticety is a very chic and charming little bit of France on Miracle Mile where a great selection of organic teas are served, hot and cold, as well as gourmet sandwiches, salads and pastries that will have you coming back for more. Beautiful decor nicely combined with an ever so relaxing atmosphere is truly inviting: a lush walled garden lined with comfy wicker swivel chairs and low tables with an open view to the mile will, no doubt, entice you take a break and savor some of the finest teas ever concocted. From delightful green blends like raspberry or mint, to the wild rose white blend or the island vanilla black blend, every brew is uniquely delicious.. There are many tempting items on the menu like the Asian shrimp salad made with orange, lemongrass and spinach or the goat cheese foccacia made with tomato, basil and honey. 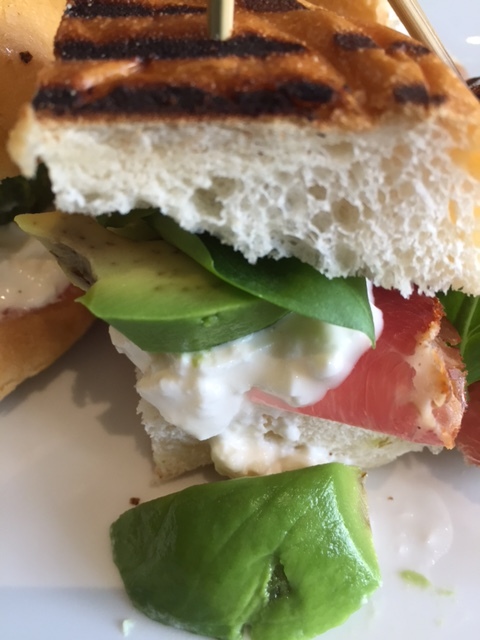 I treated myself to the Copa bun: small bites of a grilled brioche-like roll with prosciutto, fresh burrata, avocado and basil served with a side of greens and cherry tomatoes. Exquisite! 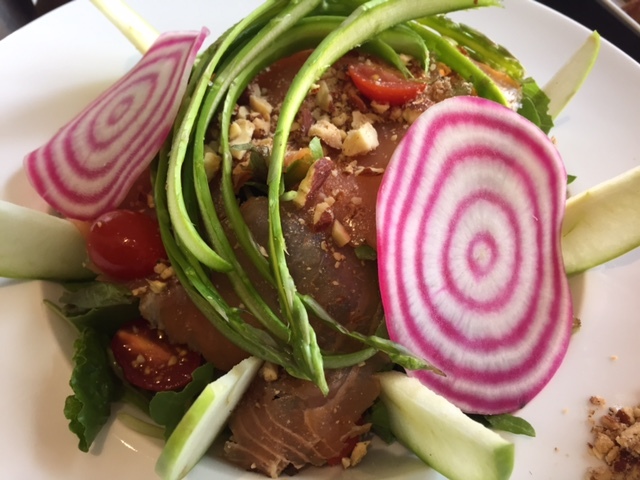 Another great treat was the smoked salmon salad: a colorful serving of chioggia beetroot, asparagus and granny smith apple with a crunchy citrus dressing. 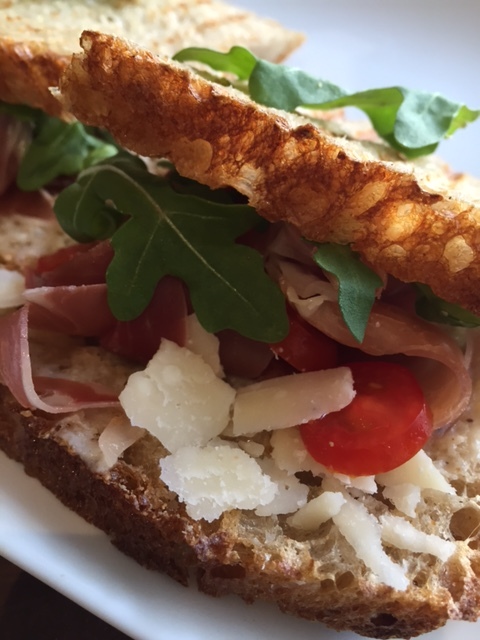 An ever so light croque monsieur was made with Serrano ham, Parmesan cheese and a touch of truffle oil. 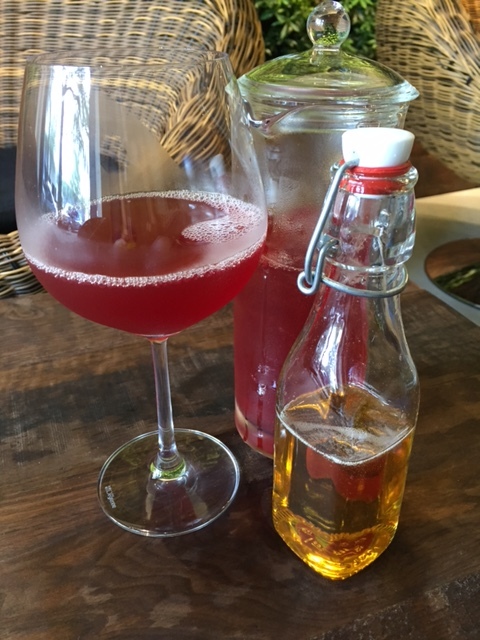 To wash it down, nothing like the caffeine-free berry ice tea served in a lovely pitcher along with some agave syrup for sweetening. Not for me – it was perfect! For those with a sweet tooth, nothing like the a nice selection of fine pastries that includes chocolate and almond croissants, fruit scones, danishes and muffins. As I enjoyed my lovely lunch, I noticed a particular attention to detail in every way: prompt and courteous service, eye catching dish presentation and a great atmosphere; very French in deed and a true luxury in these days of coffee shop chains and pre-packaged food. Whether for breakfast, lunch or dinner, Ticety is, by far, the most interesting place on the mile!